Welcome to Daily Fantasy Sports 101. We feature entertaining content focused on daily fantasy sports and new players. We have a growing collection of newbie tutorials and beginner tips for fantasy sports. 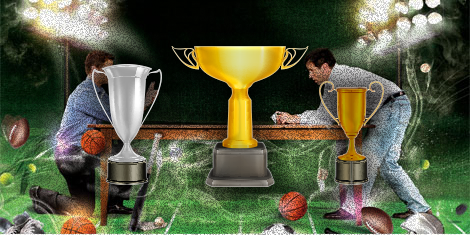 My goal is to show you exactly how to play and perhaps win real money in daily fantasy sports contests. Welcome to the red-hot daily fantasy sports industry. Find everything you ever wanted to know about playing daily fantasy sports from our collection of new player guides, how to 101’s and newbie tutorials. Learn the important things you need to know before risking your hard earned money. In 2016 playing fantasy sports has evolved to something very different than traditional season long fantasy sports leagues. Today you can play an entire season of traditional fantasy in one day or one weekend. Risk real money and win real money in one day or one weekends games. It’s legal in almost every state in the US and you can start playing literally within minutes. You enter a contest and draft a team. Watch the games and get paid out after the last game of the day or weekend (Monday night football if playing NFL fantasy) is over. It is so much fun. Legal in the US and Canada. You can play for real money for as little as $1.00. Jump in and start playing, it is the future of fantasy sports and it is awesome. 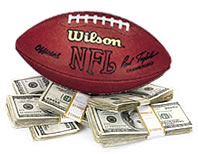 Once you’ve signed up at a daily fantasy sports site and made a deposit you are ready to play. Here is what you have to do to get in the game. It starts and ends in 1 day. Football lasts the weekend so all games can play. Draft a team. You use a salary cap in most games. Your teams points are ranked against everyone else who entered the same contest. The top % of teams win money / prizes. Start over fresh in your next contest. 100% Legal In most USA states – a few states are not allowed. It is fast, intense and incredibly entertaining. More and more people are starting to play daily style fantasy leagues. Bloomberg and Business insider report that the daily style fantasy sports is the fastest growing segment of the overall fantasy sports market. It is certainly the most fun, engaging and gratifying. If you are familiar with traditional, season long fantasy sports then the daily style games are virtually the same except the entire league happens in a shorter time frame. It is the future of fantasy sports and it is awesome. Legal fantasy betting at your fingertips. That’s a good question. 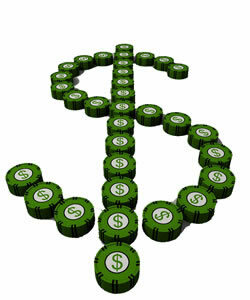 Today there are a small handful of established high quality daily fantasy sites you choose from. I have reviewed them for you and encourage others to leave their comments as well. If you are ready to play, we have a strong recommendation for a select group of sites. The good news is that there is enough competition between the fantasy hosting websites for your business that they are offering good bonuses for new players as well as on-going promotions. I maintain an updated list of top fantasy sports sites with the very best listed below. Just click any site to read our review or visit our top 10 fantasy sports sites list to learn more info. You can literally be drafting your 1st team within minutes if you are ready to begin. Find my latest reviews and learn why these are the top 10 daily fantasy sports websites online. Yes it is legal. Yes, it’s legit. Easy deposits – Credit Cards, Paypal etc. Fast cash outs – Paypal, back to credit card, check etc. 2014 is going to be the year that truly puts the daily style fantasy sports sites on the map. 2013 was huge in it’s own right but the curve is on the way up. If you are researching which is the best fantasy site to play at or just want to compare the differences before signing up then take your time and read the reviews linked from my top 10 list. Dummies Guide To Playing Daily Fantasy Sports – Learn how to play from a birds eye view with our 101 tutorials. Tips and Strategy – It is a game of skill after all. Legal Info – Get links to the latest legal content published by the most legitimate sources that I can find on the web. Top 10 Daily Fantasy Websites – If you are playing elsewhere you are missing out! This top 10 list will show you where and why to choose your new fantasy sports site home. Latest Promotions and Bonuses – “I want your business! “No I want it more! “Well, I want it too I say!” – Keep up with the latest and greatest promo’s and specials rolled out by the daily fantasy sport site industry. I encourage you to responsibly enter this fast paced, fun and exciting world of daily fantasy sports! Sign up for my free ebook to get a head start on the competition and learn what the insiders won’t come out and tell you.